If you’re looking for a more interactive keynote or workshop experience, you should look at these great experiential speakers. Like regular keynote speakers, experiential speakers inform audiences on a wide range of business topics. What makes them different than your regular keynote speaker, however, is their presentations engage audience members with hands-on and interactive activities that make the information more meaningful and memorable. These dynamic speakers make it fun through the use of technology, interactive demonstrations, and audience participation that gets everyone involved. If you’re interested in having a memorable experience, here is a list of 11 great experiential speakers (and one comedy troupe) who have turned their expertise into interaction on the topics of innovation, leadership, team building, and promoting event themes. 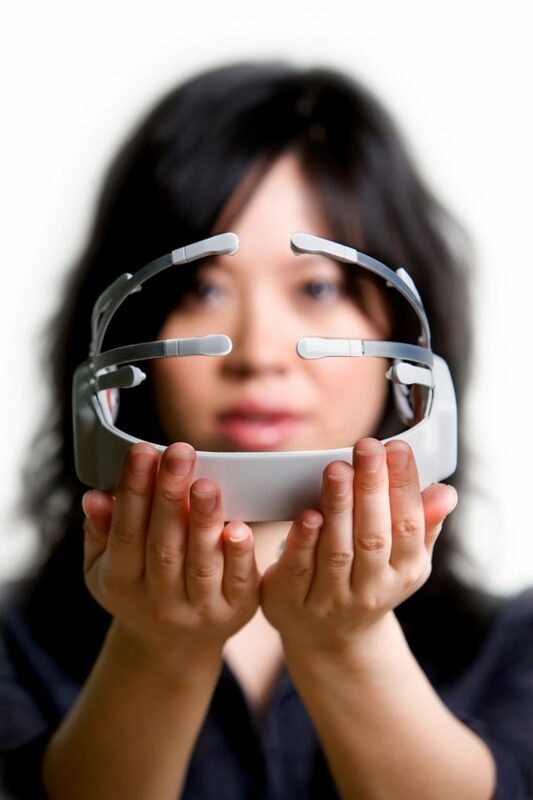 If you like technology: Tan Le is a top innovation speaker, entrepreneur, and the founder and CEO of EMOTIV. Le uses technology to add a hands-on element to her talks. She gets the audience involved—and focused on innovation —by using her Emotiv headset to give a live “mind reading” demonstration. If you like improv: The Second City Theater presenters take a unique, improv-based approach to developing more creative, inclusive, and inspiring leaders. At their events, participants will build their skills and receive feedback in a variety of areas, including using “Yes, And” (the language of collaboration), adapting in the moment, breaking down silos, and rapid idea generation. If you like art: Phil Hansen is not only a keynote speaker but also an artist who overcame a severe tremor. In his keynote he allows his audiences to experience the same creative breakthrough he had by incorporating live, interactive art. If you like sports: Robyn Benincasa is a top leadership and team-building speaker, world champion adventure racer, CNN Hero, and bestselling author. Whether talking about leadership, team building, or handling stress, Benincasa gets the audience involved with interactive activities, such as her famous audience arm-wrestling demonstration. If you like music: Mark Schulmann is a world-renowned drummer and has performed with bands like P!NK, Cher, and Velvet Revolver. In his team-building exercises, Schulman uses interactive songwriting and performance to have participants break through the barriers that have held them back from reaching their true potential. Schulman breaks groups into small “bands,” and coaches everyone through rewriting lyrics to famous songs, culminating in a “band” performance with the group’s lyrics displayed for others to enjoy and support. If you like writing: Kevin Asbjornson is a leadership speaker, professional educator, and an international performing artist. In his events, Asbjornson uses journaling, reflection, and facilitated discussion to ignite your powers of focus, interpretation, visioning, and listening. He helps you find your creative potential, allowing you to practice inspired leadership that results in greater organizational productivity, collaboration, and enhanced business performance. If you like strategy: Chip Eichelberger is a leadership and sales strategist keynote speaker who will help you set and conquer your wildest goals. Chip is known for his board breaking act, in which he invites everyone in the audience to break a wooden board, proving to themselves anything is possible and anchoring their power to this moment. If you like magic: Adam Christing is a comedic magician who will take your audiences breath away with interactive magic that is light and clean for the whole family. His after-dinner keynote is a perfect closing that will have everyone leaving with a smile. If you like technology: Kevin Mitnick is a top cybersecurity speaker, the world’s most famous hacker, a bestselling author, and a security consultant to Fortune 500 and global governments. Mitnick likes to offer customized keynotes to give his audience a cyber experience. Using pre-arranged questions from the client, Mitnick performs a hacking demonstration to illustrate the key answers and event messaging. If you like music: Steve Acho is a Detroit-based, international pop/rock recording artist. At your event, he gathers information from attendees to create an original song about your company. If you like storytelling: Steve Donahue is a narrative intelligence expert, bestselling author, and a Sahara desert adventurer. Donahue will not only deliver one or more keynote presentations, he will also interact with delegates on breaks and appear on stage as often as possible to weave his thoughts, experiences, and insights on your conference in real time in order to deepen the messages and moments from your presenters and attendees alike. If you like fun and want to give back: Jeff Civillico is a Vegas headliner, TV host, and philanthropist. Jeff has headlined more than a 1000 Vegas shows and knows how to get your message across all while being a fun and interactive host. Civillico gets the audience up and involved in team-building and trust exercises with chair pyramids, live juggling and unicycling. In addition to doing stage and screen events for multi-day events (he’s great for your conference recap videos), he also works as an ambassador for organizations for charity events, offering to donate a portion of his fee in the name of the corporation.